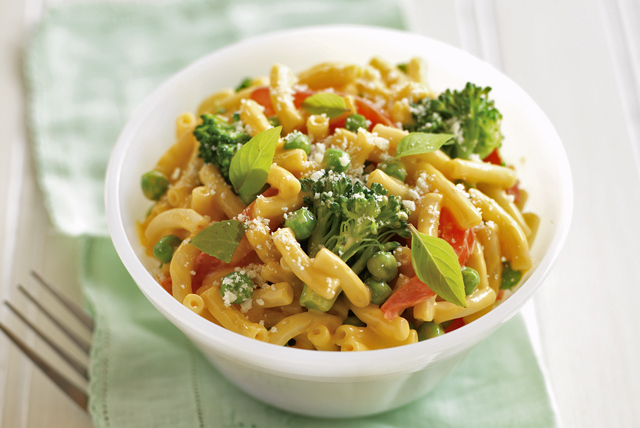 Thie entire family is sure to enjoy this flavourful cheesy pasta dish. Prepare Kraft Dinner as directed on package, using the Sensible Solution directions. Prepare using Kraft Dinner Smart Vegetables Three Cheese. If you have fresh basil on hand, use 1 Tbsp. chopped fresh basil instead of the dried basil.